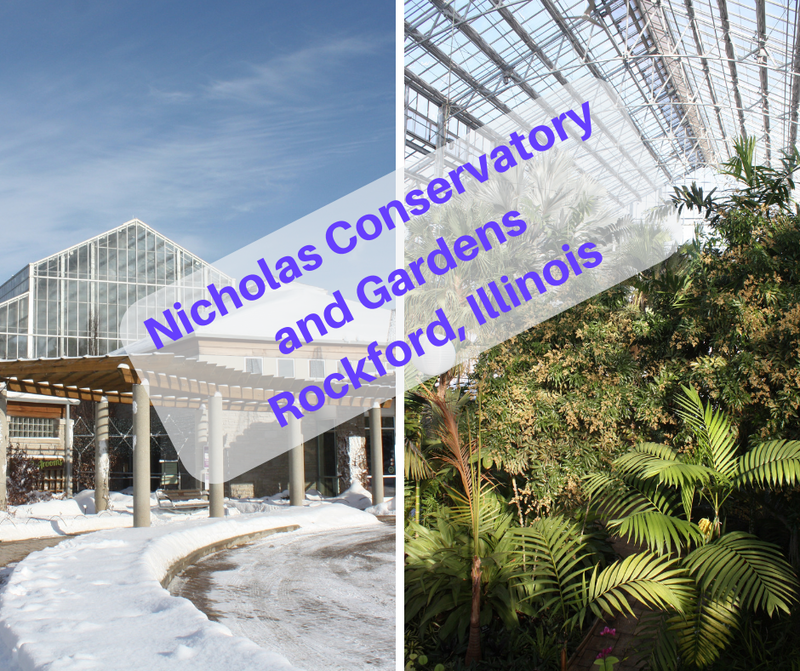 Nicholas Conservatory and Gardens in Rockford provided for the perfect nature oasis for this family on a cold winter day! 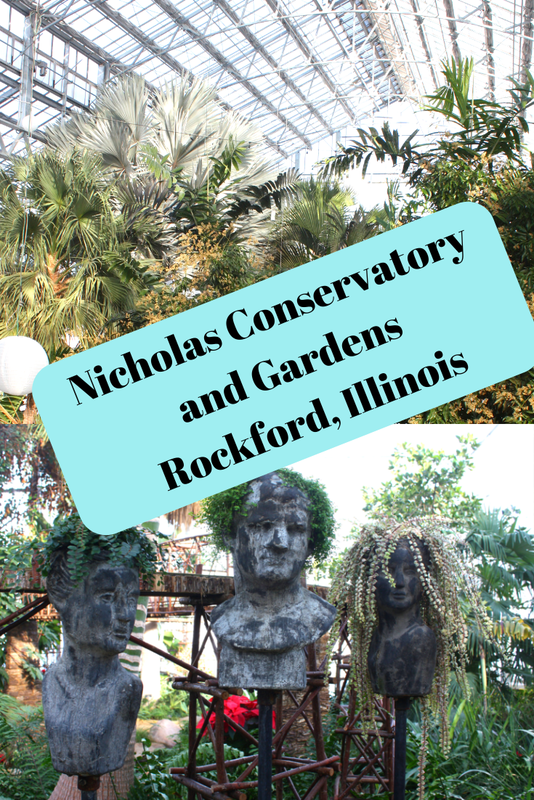 Nicholas Conservatory is the third largest conservatory in Illinois and welcomes visitors to wander several paths and explore water features. We enjoyed a little time warming up in this tropical oasis! 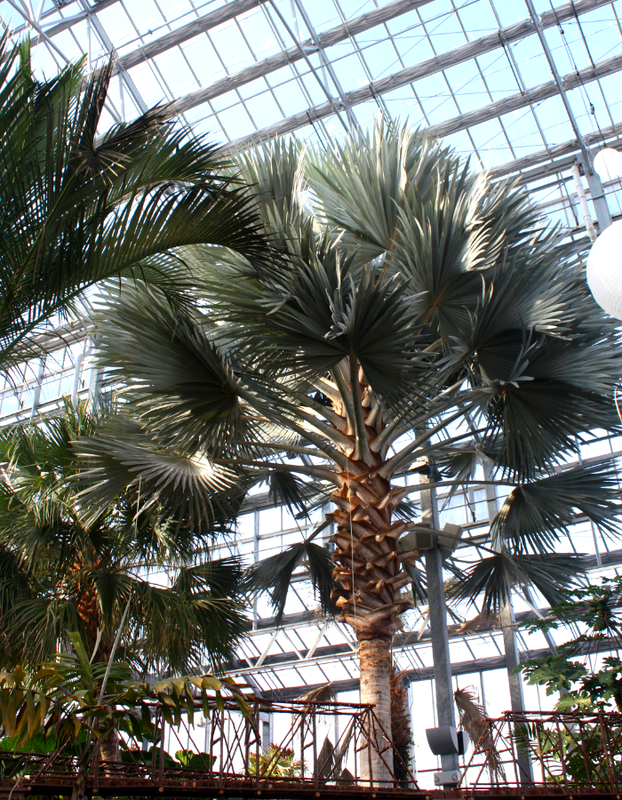 Enjoying the tropics year round at Nicholas Conservatory. The conservatory maintains a lush environment with something in bloom year round. I guess it is my yearning for green filled days that always has me consistently visiting conservatories during winter. 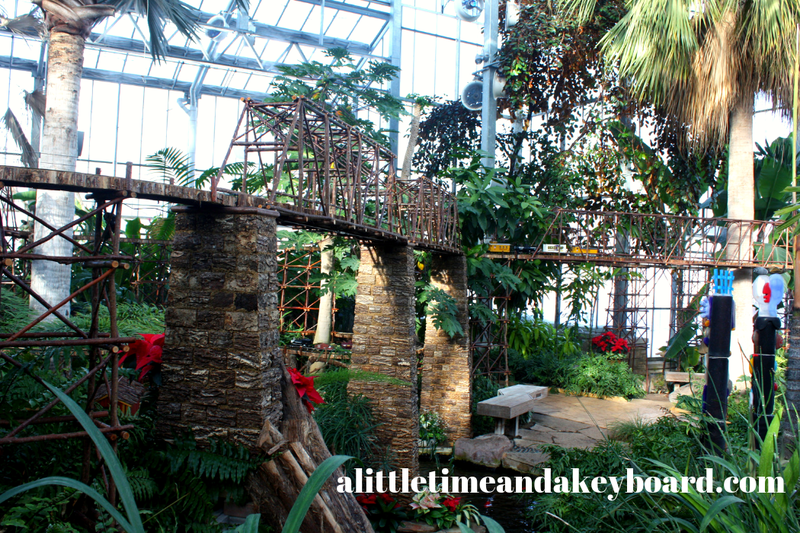 There are gardens outdoors as well to explore and I would love to one day see them in the warmer months! We strolled along paths and over a footbridge admiring a variety of plants and flowers on each time through. We also admired sculptures adding to the aesthetic experience. There a few sculptures outdoors but we visited on a very cold day, so we were unable to explore. 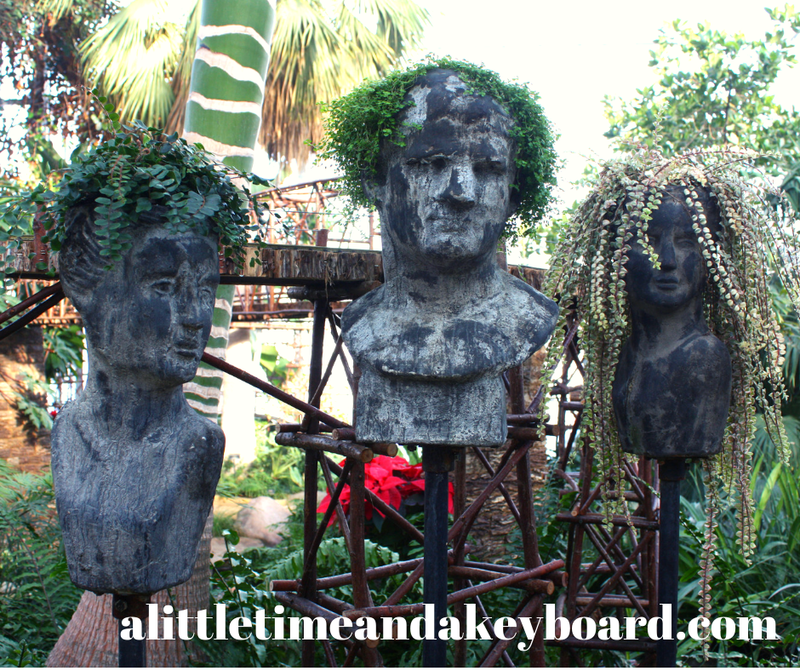 My favorite sculptures featured leafy hairdos. I really love this green assemblage! So fun! 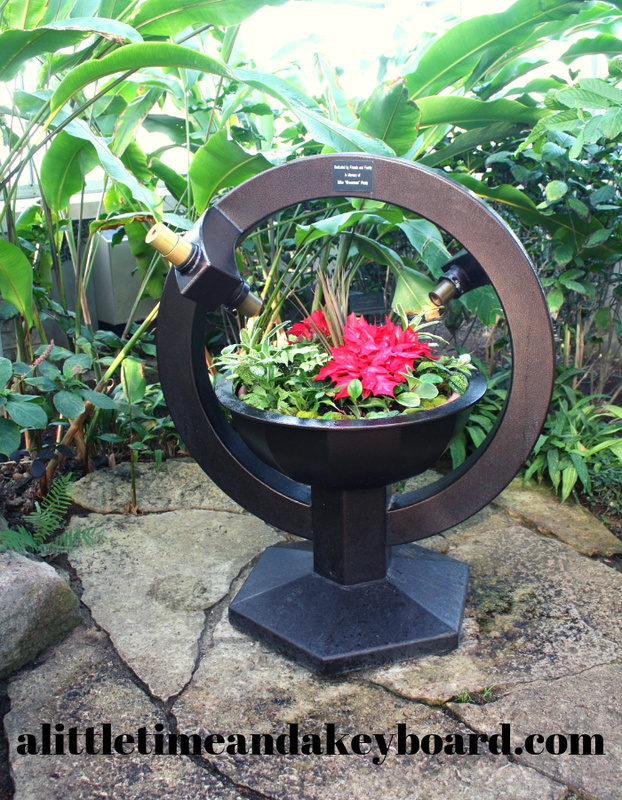 Sculptures with funky plant hairdos! Of course, we had to stop at the koi pond. The koi pond is pretty popular, so you may have to wait a little. Each time you pause allows a little bit of peace. Lots of fun at the koi pond at Nicholas Conservatory! 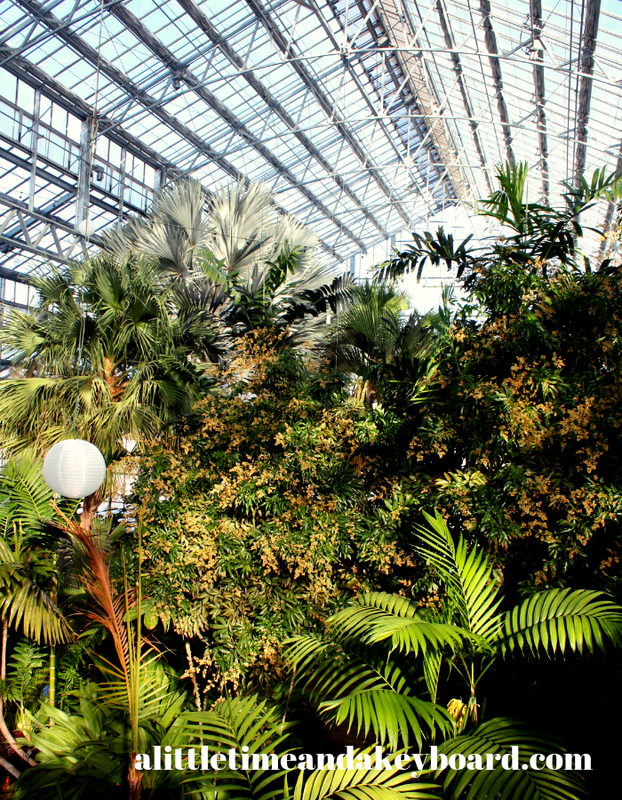 While at Nicholas Conservatory, climb the stairs to take a view from a top and allow yourself to be in a tropical canopy for a moment. The view from atop the stairs. Orchids climbing up to the top! 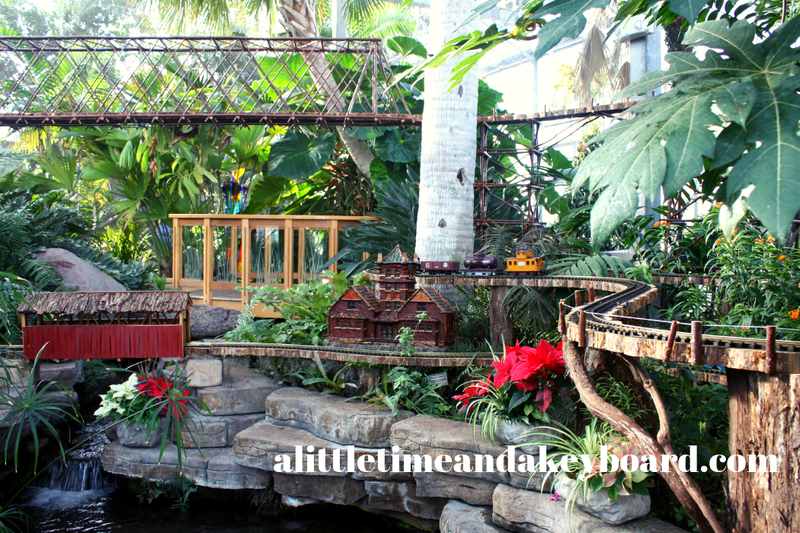 Trains ran through garden displays both high and low during our visit. We enjoyed spotting a variety of Rockford landmarks in miniature as trains chugged by. Trains all around at Sinnissippi Station. Sinnissippi Station was to close on February 3. However, this year's exhibit has been extended through February 17, 2019. Choo! Choo! Fun waiting for trains to cross bridges! Throughout the year, Nicholas Park Conservatory welcomes special exhibits including In Full Bloom: The Orchid Exhibit, Simply Spring: The Butterfly Exhibit, Wings of Wonder: The Lorikeet Exhibit and All Aglow. Don't forget to explore the mural in the entry lobby depicting the history of Rockford. We had fun noting parts of Rockford history. Of course, who wouldn't smile when seeing the Rockford Peaches? We reveled in a much needed warm weather uplift during our visit. We ambled several times through discovering a new plant each time. Allowing yourself sometime just to take it in really helps you unwind and relieve stress. 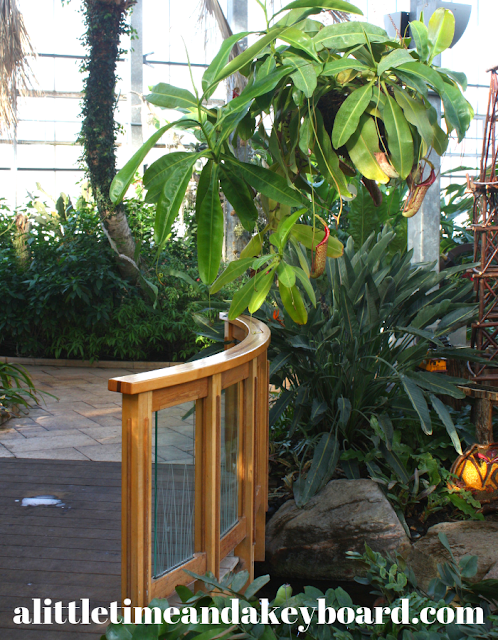 Conservatories are such a great way just to get away from life's stress for just a little bit! Eclipse Lagoon outside the conservatory is available to enjoy both in warm months and for ice skating and hockey in the winter weather permitting. See website for more info. If you are making a special trip, I would definitely couple your visit with one of Rockford's museums such as the Burpee Museum of Natural History or Midway Village or perhaps hiking at Rock Cut State Park. There is a snack shop and a gift shop. There are a few spots for sitting and contemplating. In addition to adding a walk through Sinnissippi Gardens in warmer weather, there is a walking path along the Rock River. I love conservatory's and botanical gardens! Although it always makes me jealous that I can't grow so many of the plants here in Iowa! Looks like a great place to explore!